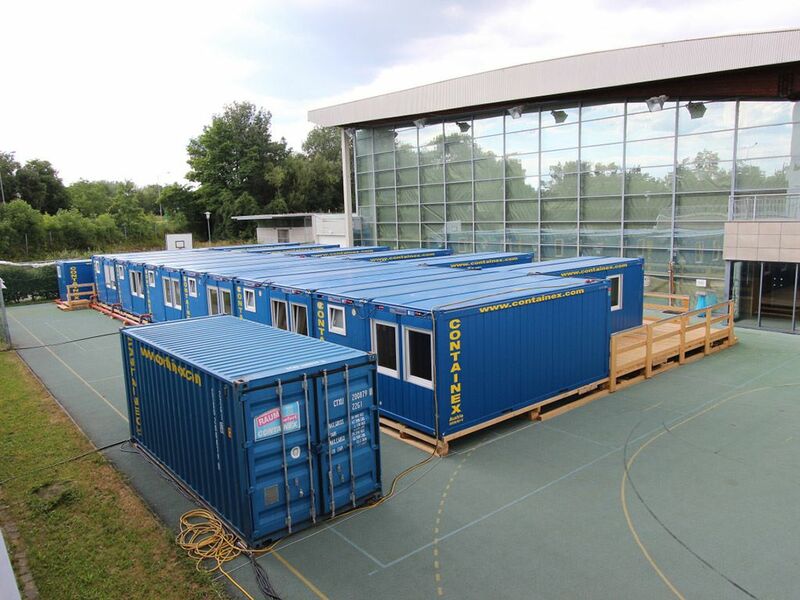 This temporary rental facility was built on approx. 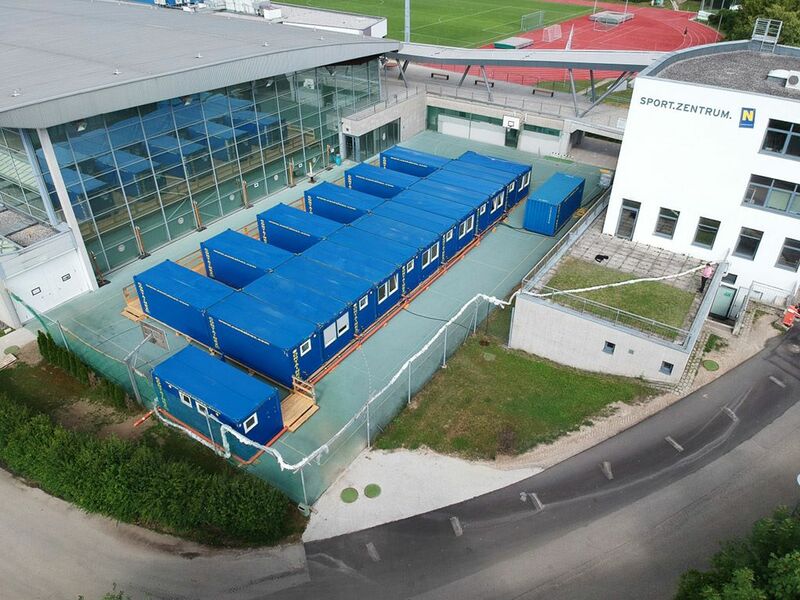 300m² for "Sportzentrum Niederösterreich" (sports centre Lower Austria). 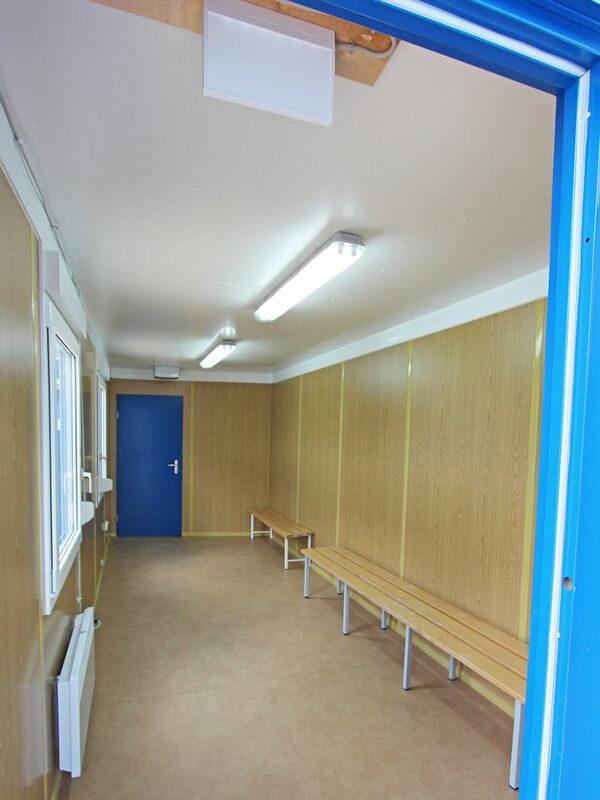 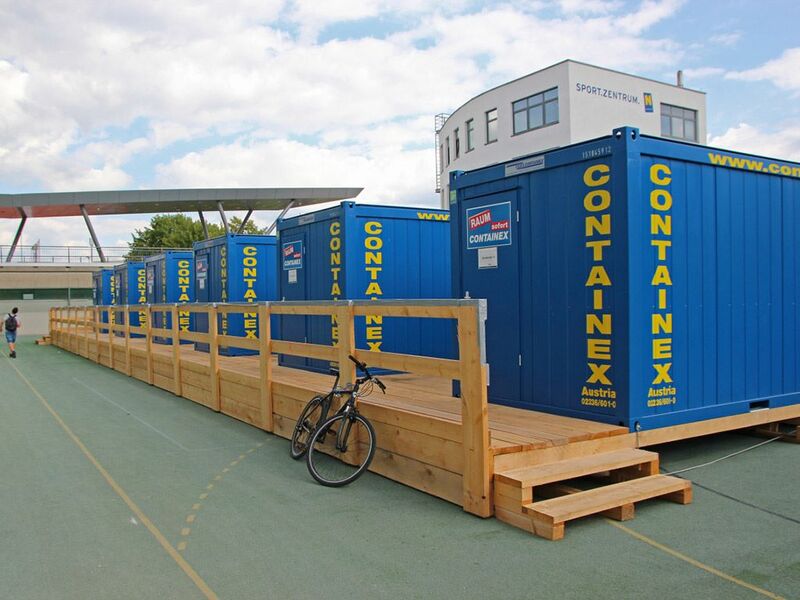 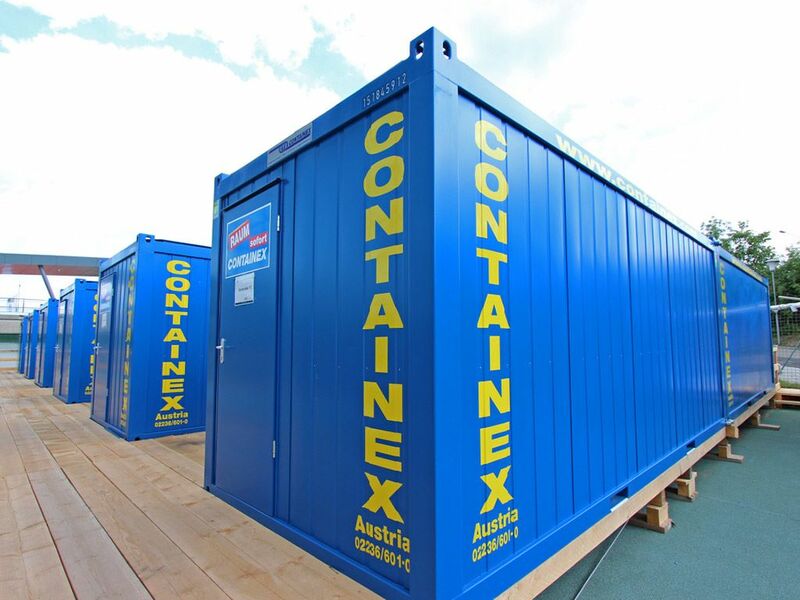 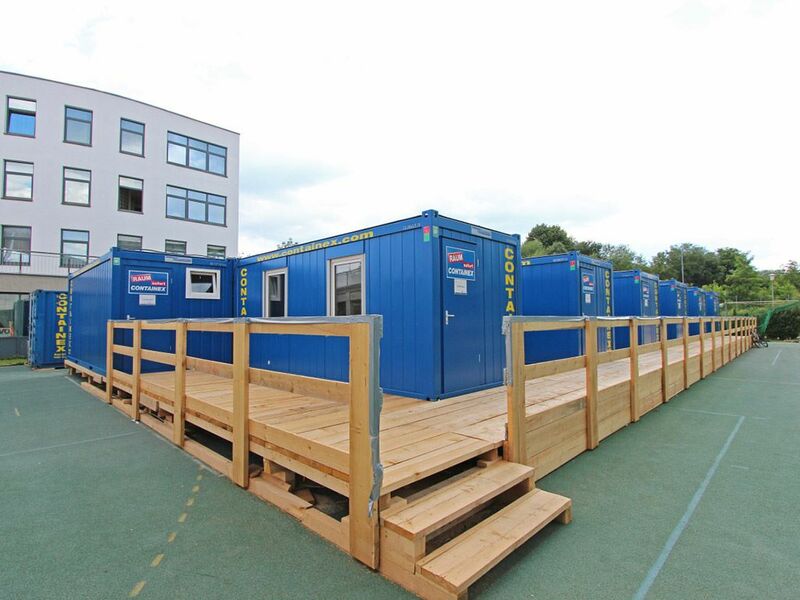 The mobile hire cabins serve as common rooms and changing rooms and also have sanitary facilities.